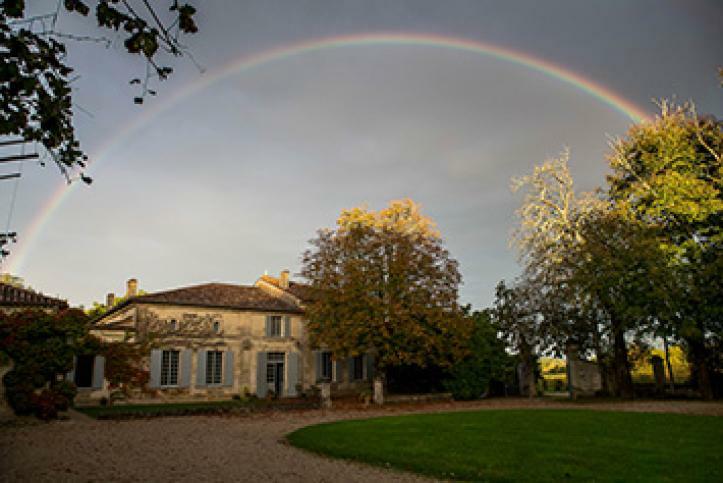 The vineyards of Château Grand Village have remained in the hands of the Guinaudeau family since the 17th century and is today the home base for Jacques and Sylvie’s family. The 40 acres of Château Grand Village are planted only to red grape varietals: 70% Merlot, 25% Cabernet Franc and 5% Cabernet Sauvignon. The average age of the vines is approximately 20 years. The estate is located between Fronsac and Bourg. The terroir is made of clay-calcareous soil. 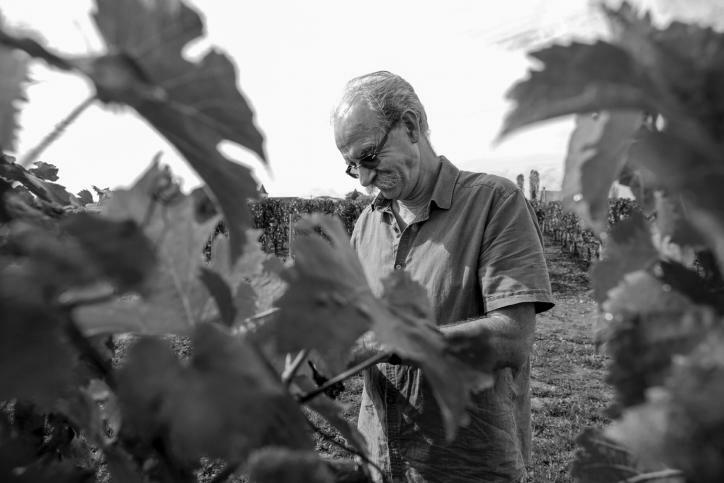 The vineyards of Chateau Grand Village have remained in the hands of the Guinaudeau family since the 17th century and is today the home base for Jacques and Sylvie’s family. The 40 acres of Chateau Grand Village are planted only to red grape varietals: 70% Merlot, 25% Cabernet Franc and 5% Cabernet Sauvignon. The average age of the vines is approximately 20 years. 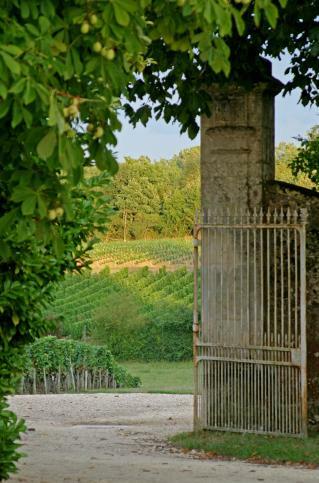 The estate is located between Fronsac and Bourg. 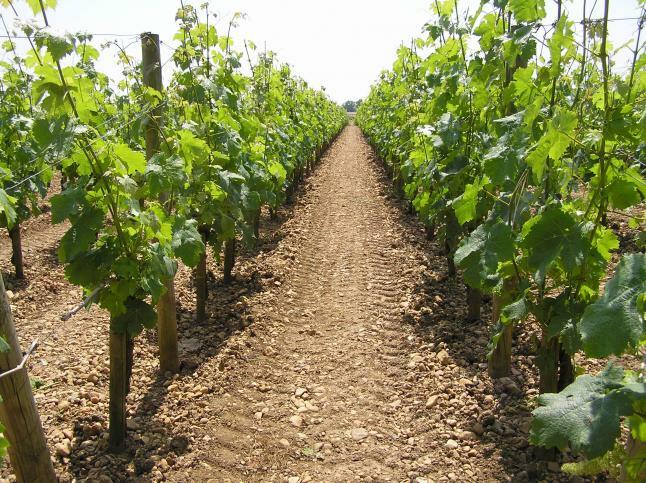 The terroir is made of clay-calcareous soil. 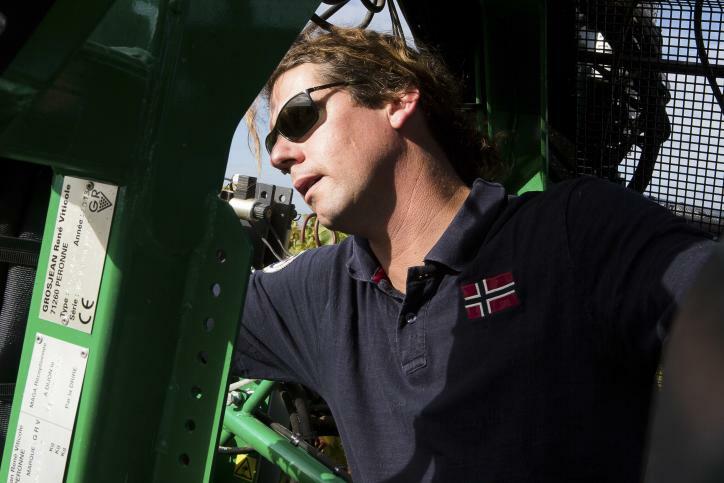 40 acres planted only to red grape varieties: 70% Merlot, 25% Cabernet Franc and 5% Cabernet Sauvignon. The average age of the vines are approximately 20 years. Appellation is Bordeaux and the estate is located between Fronsac and Bourg. The terroir is made of clay-calcareous soil. 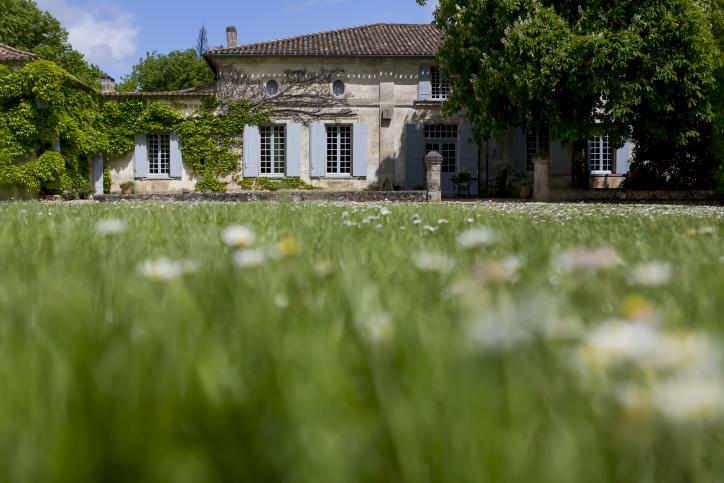 The estate is owned by Jacques Guinaudeau, owner and winemaker of the illustrious and very rare Château Lafleur Pomerol. The harvest is hand-picked, the vinification is characterized by a lengthy maceration of 23 days. After malolactic fermentation takes place the juices are then filled into the oak barrels where they are aged for more than a year. 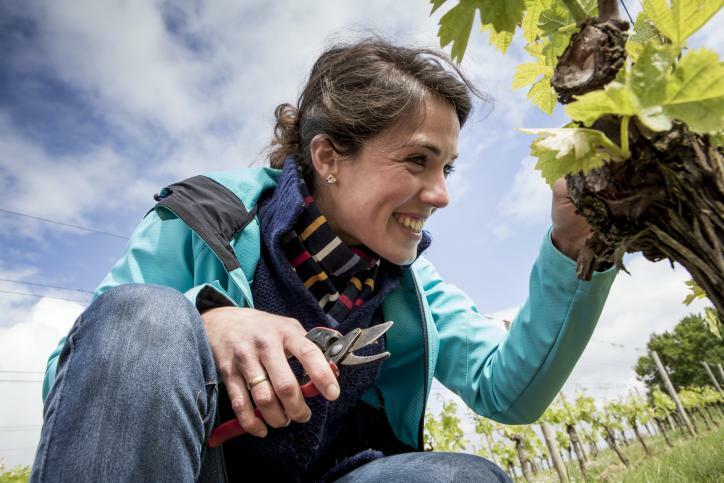 Sylvie and Jacques, along with their son Baptiste and his partner Julie, devote all their care and attention to this property, a fully operational farm with pastures and forests, of which only the most propitious, well-exposed parcels are devoted to vines.